A pet subject of mine is hole drilling. Forget the puns about a boring subject. Getting an exact-sized, clean hole in the right place is really important. 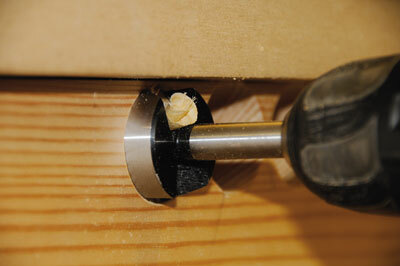 I believe that there is too much reliance upon the ubiquitous twist drill, which is really designed for metalwork. Matters can be improved by regrinding to improve the tip as Krenov did, but how many do this? You can also buy brad point bits, but over the years I have found that the best answer is to buy Forstner bits as you need them. This means that you will acquire a set of bits in the sizes you most frequently use. Last month I looked at Freud saw blades but I didn't know until then that they also made Forstner bits. 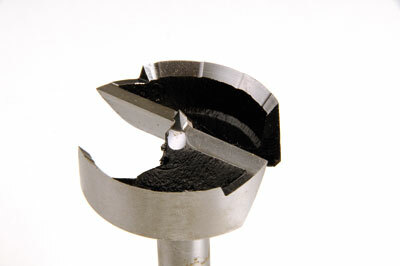 The basis of a Forstner is that the drill is centred by the pyramidical point and the deep rim, which only cuts at the bottom of the hole, preventing the bit from wandering. The Freud offering has a wavy grind pattern for the rim. This helps with the chip formation and clearance, giving the ability to cut clean holes adjacent to each other, and indeed they could have been overlapping. 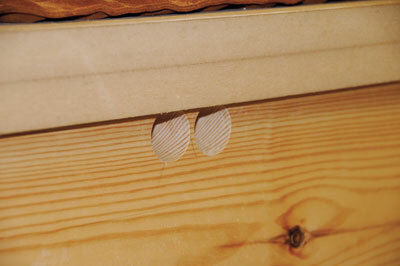 These bits are accurate, cost effective and easy to touch up with diamond-rod hones. If kept in proper containers that stop the edges jarring against each other, they will be usable for years. "These bits are accurate, cost effective and easy to touch up with diamond-rod hones"